A BATMAN A DAY #1: BOOM! Home » BATMAN'S HOT-LINE » A BATMAN A DAY #1: BOOM! Kicking off 13 days of Batman strips from Batman: The Silver Age of Newspaper Comics Vol. 2 — out 1/21 from IDW, the Library of American Comics (and DC)! 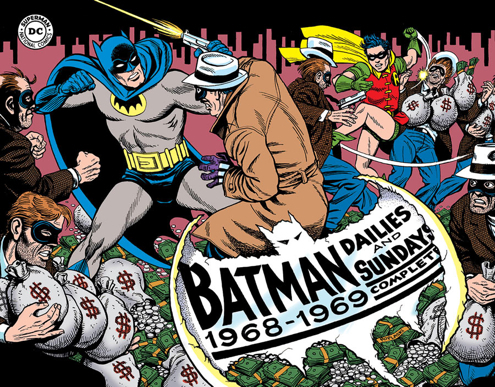 We’re publishing installments of never-before-reprinted Batman daily and Sunday newspaper strips from the 1960s! 13 days of vintage Dynamic Duo! Today, Batman and Robin — and a guest star — face the deadly doings of Professor Zinkk! Wanna know more? Yes, you do! Click here!